The best memories I have as a child with my siblings were our game nights. I will have to admit that it got pretty competitive so there was a lot of cheating going on as well as crying. But, there were also plenty of laughs, the kind that makes you pee in your pants. I am sure everyone enjoys a little friendly competition but when it comes down to it, family game nights are all about family bonding. We made a game up ourselves, which we called ‘pick donkertje’ which is dutch for ‘pitch black/dark’. It was a cross between tag and hide and seek in a very dark room and the person who was ‘it’ was blind folded. The rules were simple, so simple that I don’t even remember there being any lol. So, as you can imagine, things would sometimes get out of hand real fast, especially if you annoyed someone in that room that week. With Technology taking over, and isolating each of us in our own digital world, there is a need to reconnect and create these kind of memories to build family unity whether it’d be over some popcorn together with laughs, cries, or as in our case, both (whatever works for your family 😉 ). It is for this reason I want to incorporate family game nights when the kids are old enough. Game nights are fun, inexpensive and get the creative juices flowing. They are a way for families to wind down and spend quality time together. 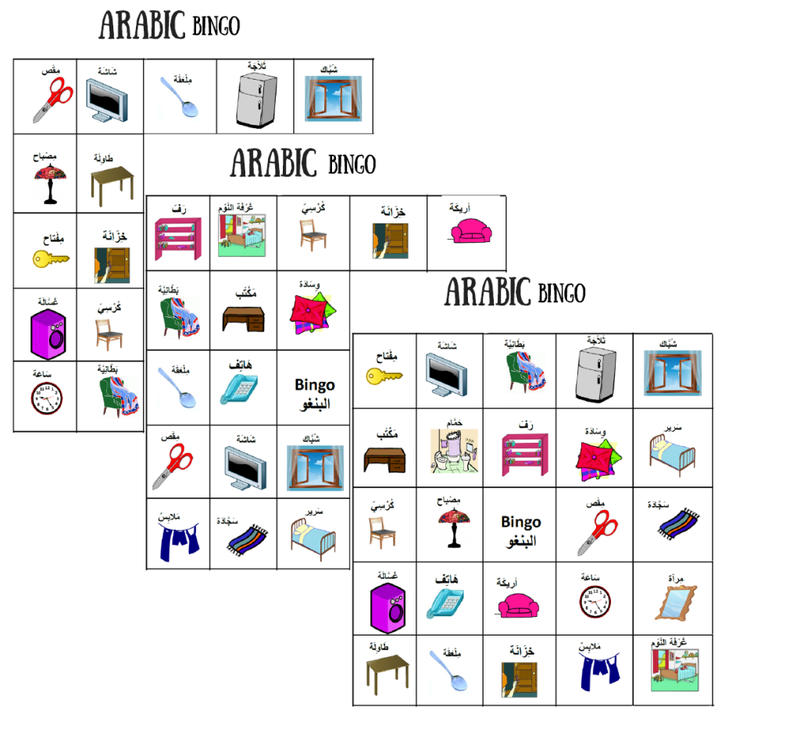 Games can also be a great learning opportunity too, like this Arabic Bingo. This game helps kids build Arabic vocabulary and because we have kept the calling key page blank kids can copy and write the Arabic words themselves. You can even take it up a notch by spelling the words out loud and letting them write it. The theme of this Arabic bingo is ‘things around the house’ so print the game and let the good times roll 😉 . Print all the Arabic Bingo pages (this one is good for 4 players). Print one page twice so you can cut that one to place inside a bag. Shake it up. Each layer will need tokens, bottle cap or pennies. Alternatively, you can laminate it or place them inside a sheet protector and have them cross out items with a dry erase marker or a china marker. Choose a word from the bag (without looking) and call it out. Whoever has that word on their page can place a token on there and as with any bingo game, whoever gets 5 in a row wins. What is/was your favorite family game? Previous Post Athkaar for the busy mom – Plus Cheat Sheet Next Post Limiting your Own Screen Time! Thanks! We need to play more games together as a family. My son has a tough time when he doesn’t win… he needs some practice! I know many boys like that it’s completely normal ? 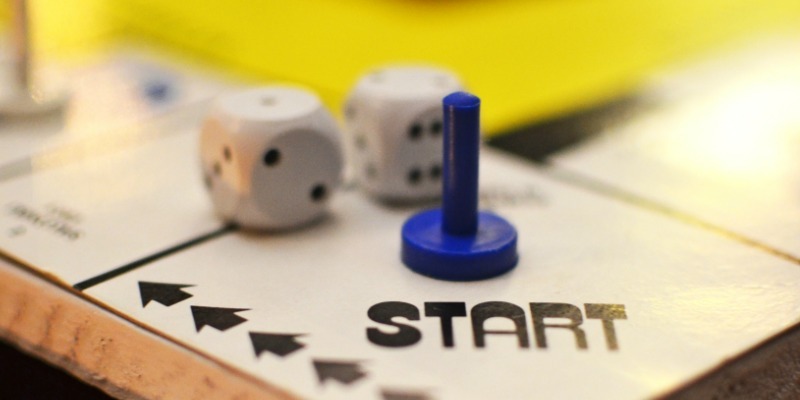 Have you tried co-operative board games where there is no winning or loosing ?